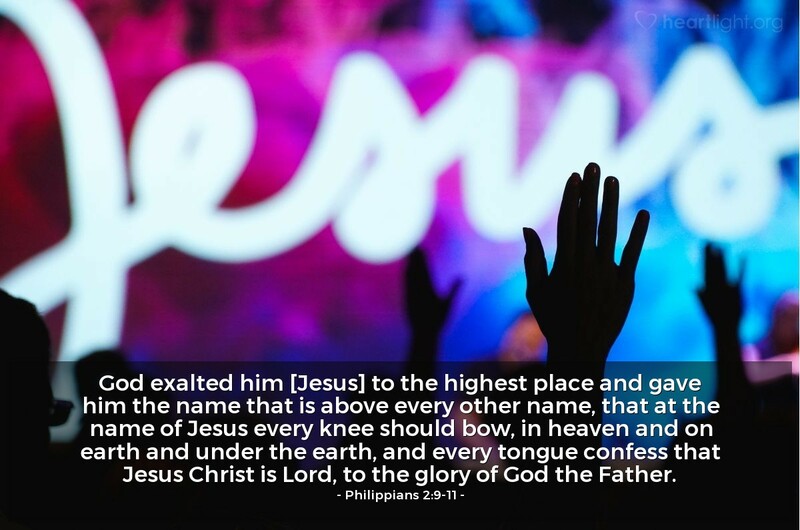 When Jesus is exalted, when his name is praised and his glory confessed, God is honored and blessed. Praise be the glorious name of Jesus of Nazareth, our great Messiah the Christ, Savior, Son of God, and conquering King! Precious Savior, Jesus Christ my Lord, your name is wonderful! Your sacrifice for my sin was so loving and generous. I am so thankful that our Father raised you from the dead and that through you, I will be able to be with God and worship you all of eternity! You are glorious, Jesus my Lord! In your glorious name I bring this praise to God. Amen.